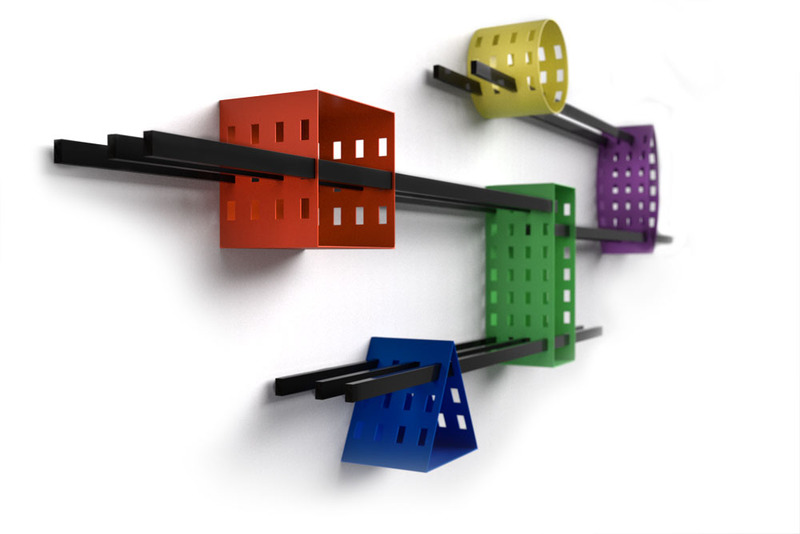 Ray Shelf is an adjustable and versatile wall mounted shelf system for storing books, CDs, DVDs and whatever you like. The primary feature of this design is to provide users the freedom to arrange their own individual space creating different design combinations. Ray Shelf comprises one or more perforated framed support units and a plurality of bars. The bars are inserted into the specific holes of the support units. The bars can span between two or more support units or project from it to form a cantilever shelf. The shelf can comprise from two to four bars. Simply by combining the support units and the bars numerous arrangements can be created to suit a specific user’s needs or to give a fresh look to the space without the need to invest in new furniture.